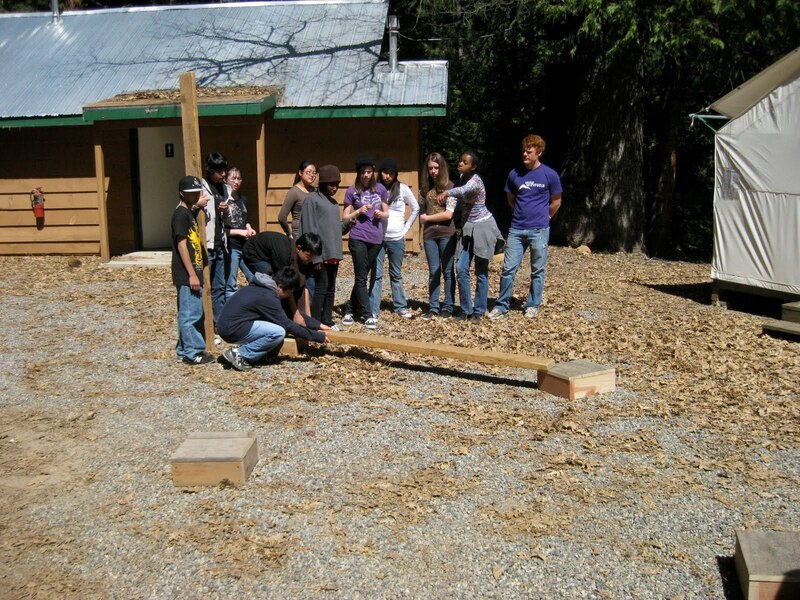 The week beginning March 28, 2010 saw Camp Wawona’s new Outdoor Education program get off the ground with it’s first ever full session. Pleasant Hill SDA School students arrived on Sunday evening to find supper waiting for them before diving right into an overview and orientation of the 4-day education adventure on which they were about to embark. The first full day saw students practicing teamwork and developing leadership skills through a series of low ropes activities and conquered personal fears by taking on the high ropes course. Students found themselves in a different kind of classroom on day two as they received hands on lessons in Botany, Geography, and creative writing. Day three had a surprise in store as students awoke to a few inches of snow on the ground. But the snow didn’t hamper the trip through the local community for a lesson in Human History and then on to the valley for a close up look at Geology. All in all the week went well thanks to the hours of planning and implementing on behalf of Outdoor Education Director Derek Wright and his team of CW Staff. 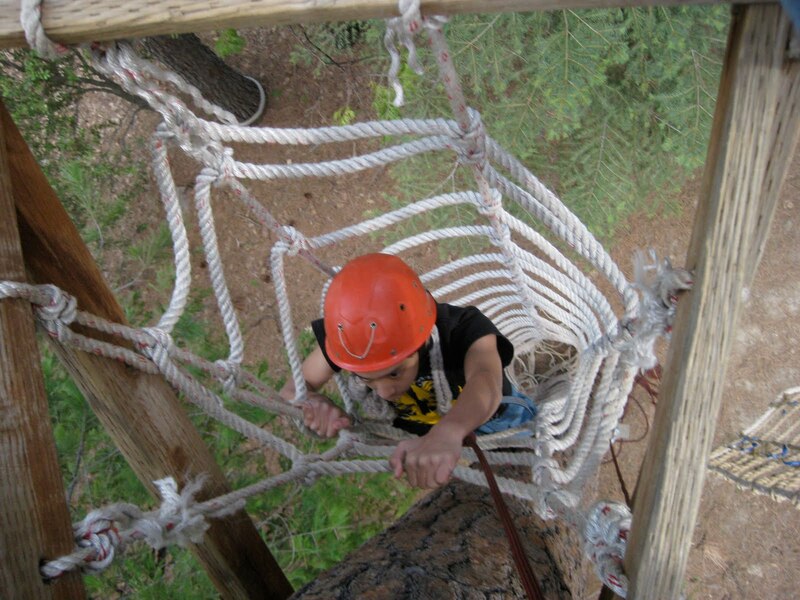 The next session of Outdoor Education is scheduled for April 18 – 21, 2010. For more information call CW’s main office at 209.375.6231. Video and photos are below. Students gather in the lodge for morning worship. Teamwork is a must to complete this low ropes challenge. 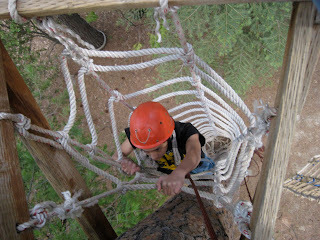 A student climbs up the rope tube and onto the High Ropes Challenge Course. View from the top of the High Ropes Challenge Course.